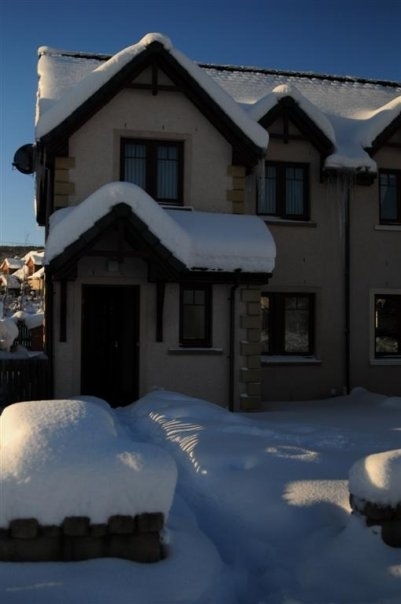 Comfortable & well equipped holiday home in Aviemore with 3 spacious bedrooms, sleeping 6. 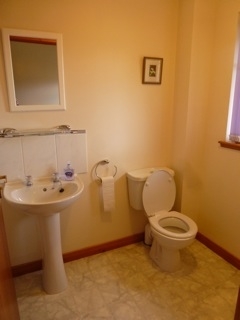 A 10 minute walk from all local amenities. 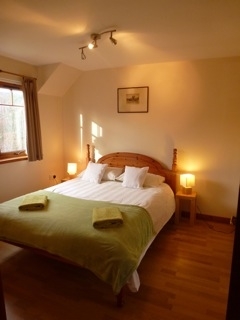 Our house sleeps 6 persons in 2 doubles and 1 twin (cot available). 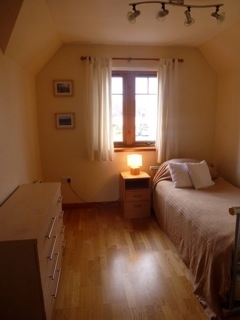 These attractively presented bedrooms all have plenty storage space and views over the Cairngorms and Craigellachie. The upstairs bathroom has a bath and electric shower. 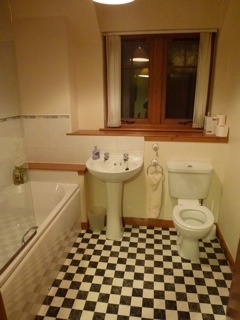 Downstairs is another loo/cloakroom. In the lounge we have a large flat screen TV with surround sound and Freeview additionally four BT Sports channels, there is also a DVD player and Broadband. In the well equipped kitchen/dining area you will find a washing machine, large fridge freezer, electric hob, oven, and plenty of utensils for the holiday cook! The dining room table will seat 6 persons comfortably and the back door will take you directly into the garden. There is ample parking in front of the house. The front garden is grassed with a concrete ramp to the front door suitable for wheelchair access. The back garden has a lawn, and for alfresco dining a raised deck with a glass table, 6 chairs, large gas BBQ and standing gas patio heater. For the sporty in the family there is a lockable bike shed for 3-4 bikes and a garden shed with ski holders and ski boot shelf. 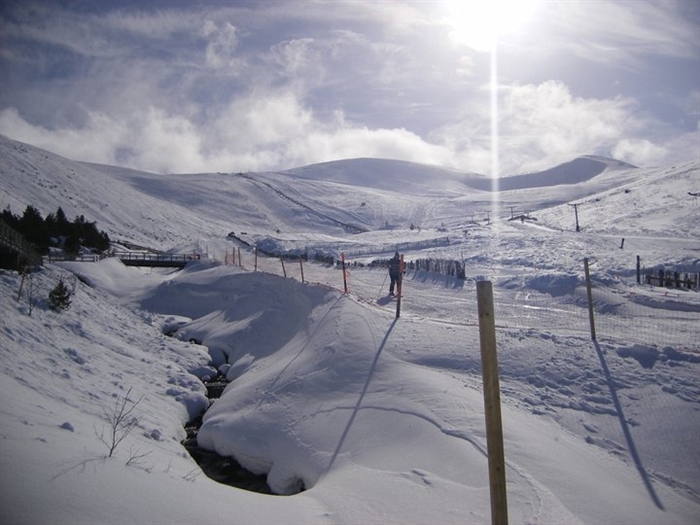 A ten minute walk from the property will take you to restaurants, pubs, clubs, outdoor sports shops, a boutique store, grocery stores, bus stops, the train station and a shuttle bus service to the Cairngorm ski area. The MacDonald Resort in the village has a spa therapy unit, gym, swimming pool with soft play area, cinema and cafe. Inverdruie, on the other side of the river is a lovely spot with a gift shop and cafe selling huge cakes!! perfect for refuelling to start your sporting adventures. From here, are endless biking and walking tracks through the hills and past the lochs in peaceful stunning surroundings. In the winter these tracks can be used for cross country skiing as well. You can also hire quad bikes from here or try archery, fishing and the Tree Zone! 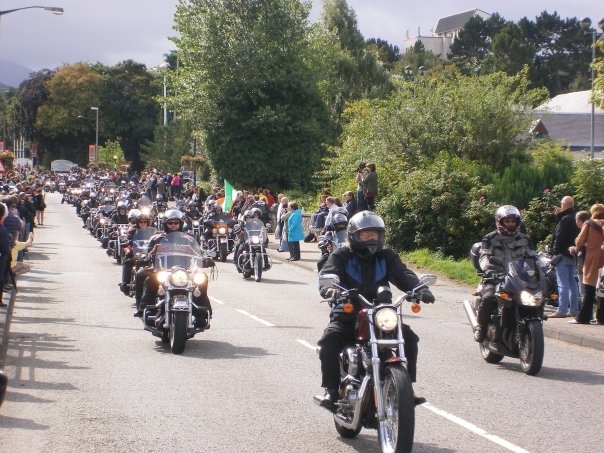 Within 10 miles drive of Aviemore there are many other local attractions including the Kincraig Wildlife Park with kids farm, Newtonmore Folk Museum, Reindeer Feeding at Cairngorm and Carrbridge Landmark Adventure Park for all ages! For elevated 360 views take the Funicular Train to the top of the Ski Area and enjoy a lunch overlooking the spectacular scenery of the National Park. The Steam Train from Aviemore runs through the valley to Boat of Garten and at Christmas time Santa will join you and the children for mince pies, mulled wine and maybe something from his sack! This area covers every sport you could want to try on your holiday, five local villages provide excellent golf courses. Clay Pigeon Shooting is safely set among the woodland of the Rothiemurchus estate where you can learn with a professional. 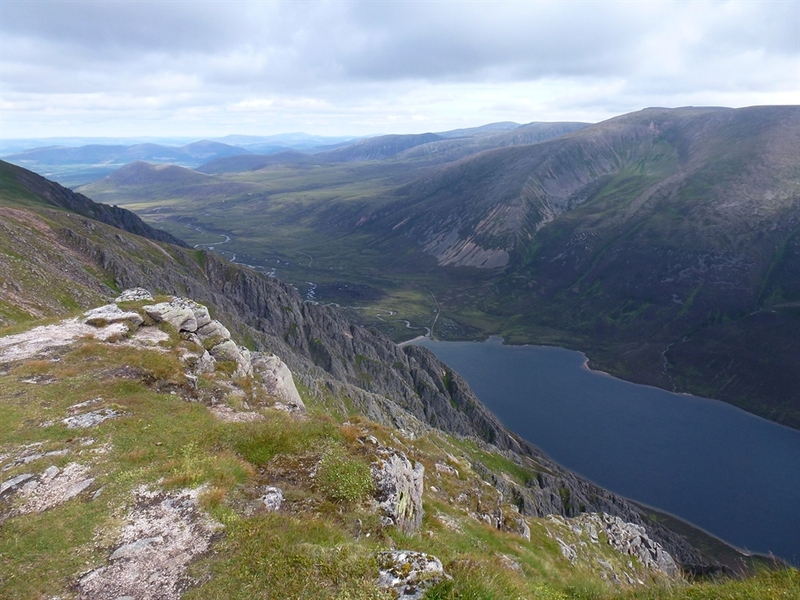 Hill walking, mountaineering and rock climbing are all available to do at your leisure or hire a guide to get the full benefit of what the mountains have to offer www.walkhighlands.co.uk . A two minute walk from the house is a new small retail complex housing a Costcutter supermarket, The Retreat which is a lovely beauty salon and hairdresser, a Pizzeria and a bike hire shop. 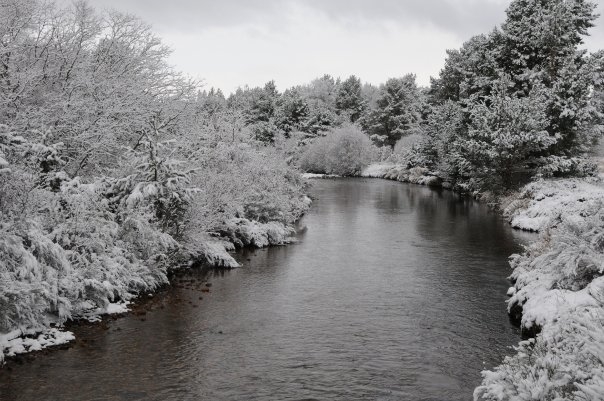 The River Spey and the local lochs have excellent salmon and trout fishing, you can buy a permit from the Rothiemurchus Fish Farm or go with a local Ghillie who will take you to the best spots! 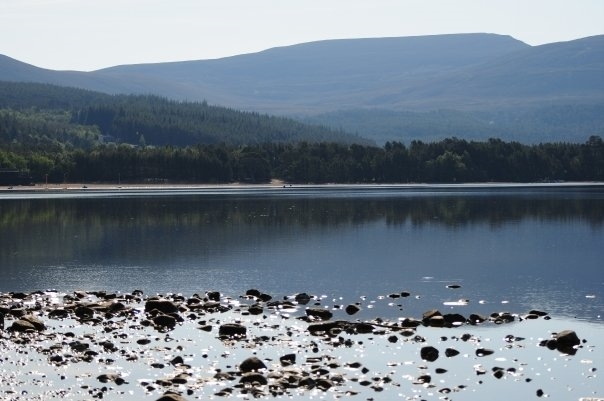 Loch Insh RYA Centre and Loch Morlich are a short drive away where there are canoes, kayaks, windsurfs and small sailing boats to hire, warm up afterwards at the cosy restaurants. If golf is your sport we are very well provided for in the Spey Valley, there are excellent courses at Dalfaber, just a 10 minute walk from the house, Newtonmore (15miles), Kingussie (12m), Boat of Garten (7m) and a little further away are two courses in Inverness (28m) one of which has a large driving range. Between Inverness and Nairn just off the A96 is Castle Stuart which hosted the Castle Stuart Scottish Open 2011-2013, and finally is the course at Nairn (35m) which hosted the Nairn Walker Cup in 1999 and The Jacques Leglise Trophy in 2004 and the Curtis Cup in 2012. All of these courses have an excellent reputation and are located in beautiful surroundings too. Nairn is on the Moray coast and boasts a superb long sandy beach, small marina and a quiet village atmosphere to explore for the non golfers! Youcan travel within 2hrs direct on the train to the Commonwealth Games in Glasgow, and within 1.5hrs on the train to the Ryder Cup in Gleneagles.